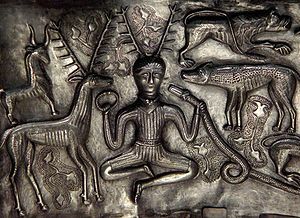 Pagan deities from a variety of pantheons. Since this is the first post on this blog, it’s fitting to dedicate it to Hestia, the Greek goddess of the domestic hearth. Hestia was the first born of Zeus’ siblings and the first swallowed by their father, Kronos, who feared being overthrown by his offspring. In the end all the babies came back up and Hestia, being on the bottom, was the last “reborn.” Therefore, it is customary to honor Hestia first and last. Hestia is the patroness of my home life. I’ve asked her to bless my cooking fire (also known as the gas stove) and I call on her when domestic bliss is needed. With a business to run, a homeschooled ten year old and more pets than our house can really hold, I call on her often. I first discovered Hestia years ago in Sage Woman magazine. There was an article describing a woman in Athens in 500 BCE, rising at dawn, before the rest of the household awoke, and rekindling the hearth fire with the coals from the night before with an offering to Hestia, the goddess of the hearth. As I read the article, I felt a powerful draw to Hestia, the Greek goddess who kept the hearth of Olympus burning and was the guardian of the home. I am an earthy Virgo, and have never been drawn to deities closely associated with fire. As I began to do more research, however, I soon discovered that Hestia’s hearth was less about the fire itself and more about the sacred center, the center of family life and community. 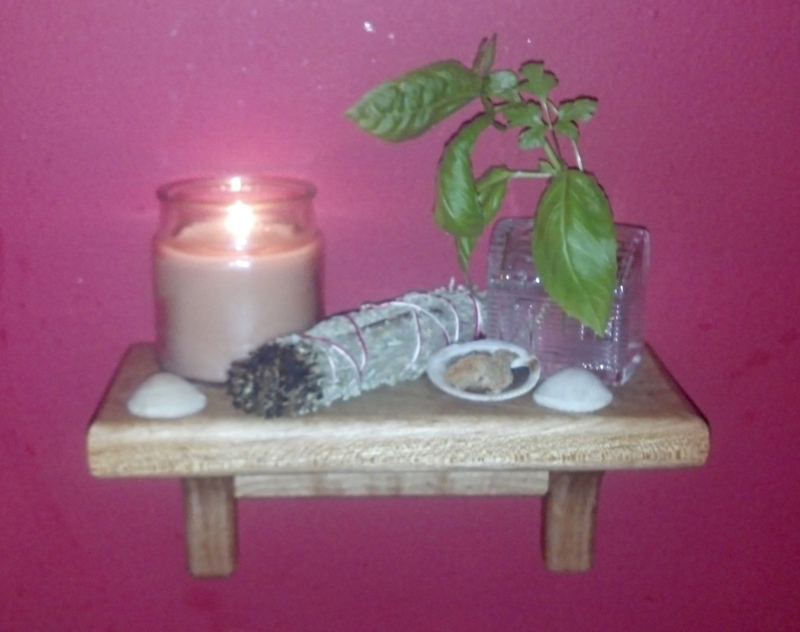 Hestia is perhaps the mistress of “grounding and centering”. Hestia was portrayed as a Virgin goddess, never leaving Olympus’ hearth in search of a handsome human man to take to bed. Priestess of her Roman counterpart, Vesta, were sworn to chastity and 30 years of service tending the sacred fire in her temple. Hestia is a perfect representation of Virgo, focusing on the practical tasks of running a home – personal security, domestic happiness, and hospitality. Hestia’s warming hearth was also used for baking, one of my favorite domestic chores. The hearth provided heat, light, and food. It is easy to see why it was the center of family life in the days before electric lights, oil heat, and Dunkin Donuts. To me, Hestia represents inner centeredness. Her energies are mild, forgiving, peaceful, welcoming, and stable. Hestia is a true matriarch and wonderful hostess, running her home with dignity and grace. I draw on Hestia’s power to become truly centered in who I am. 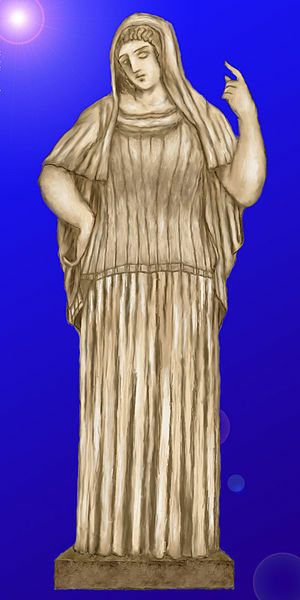 Hestia is symbolized with a circle, and her hearths were often circular. The circle is a representation of one who is complete within herself. Hestia is associated with emotion and, therefore, despite her ties with fire, finds her correspondences in the blue waters of the West. Water has always been an influence in my life. I grew up next to the ocean and now live by a lake. The changing moods of the bodies of water I’m near seem to echo my emotional states. Invite Hestia’s blessing every time you light your stove for centering and domestic bliss.